The Scoop: LatinoLicious is a dating site that celebrates singles of Latin heritage. It was designed for men and women who seek interracial love but have found that other dating sites can’t quite cater to their unique needs. Singles of any ethnic background can search LatinoLicious for Latin partners (and vice versa), and the site has fostered many successful relationships. When Jeanette joined LatinoLicious, a dating site for Latin singles and their admirers, she was already skeptical about online dating because of her previous experiences with other sites. That’s why it took a little push. “My friends convinced me to try this particular site,” she said. Around the same time, Michael made a profile on the site, and it wasn’t long until he clicked on Jeanette’s profile. He thought she was cute and liked the engaging information she included about herself, so he reached out to her. “We moved from email to phone calls, and our chemistry was apparent from the start,” Michael said. When Michael and Jeanette finally met, they found the connection they’d felt over the phone was just as strong in person. They recognized how much they had in common and the fact that they were both so committed to family. Now, the happy couple is looking forward to a long future together. 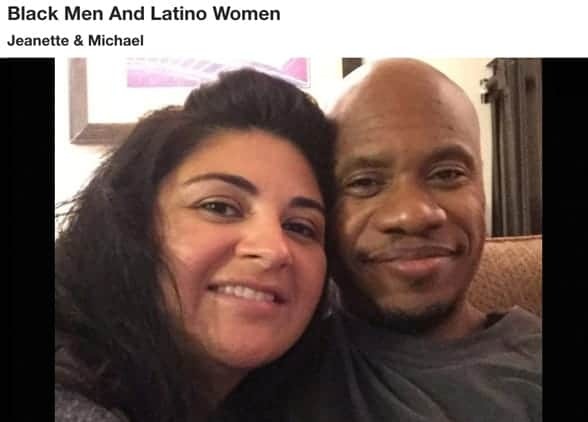 This love story about an interracial couple — Jeanette is Latina and Michael is African-American — is quite common on LatinoLicious. After all, the site’s purpose is to break down barriers to interracial dating. LatinoLicious connects Latin singles with those of different ethnic backgrounds. “Most LatinoLicious team members are in multicultural relationships themselves, so we practice what we preach,” said a spokesperson for the dating site. 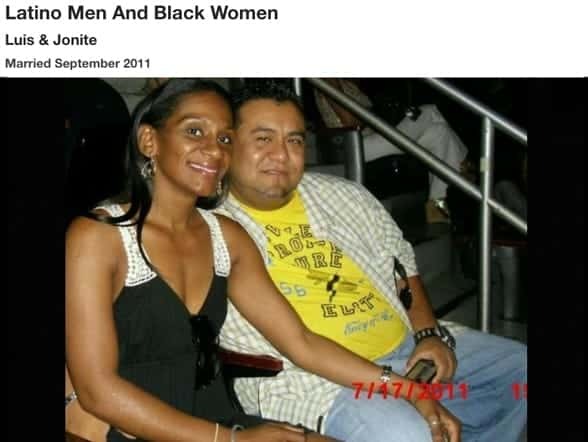 This focus on developing interracial pairings came in response to the experiences many Latin singles had on other dating sites. Some found themselves ignored because of their ethnicity, while others felt that many sites only focused on Latin women. LatinoLicious, on the other hand, is open to both Latin men and women who want to meet partners of different backgrounds and ethnicities. “Most Hispanic dating sites focus their attention on pairing Latin men with Latin women, but we encourage Latin men and single Latinas to search for, and find, their ideal partners irrespective of race,” according to LatinoLicious. After signing up, members can search for Latin men or women in the age range they’re seeking. From there, they can select from four relationship categories: penpal, friends, dating/romance, or long-term/marriage. Finally, the member discloses his or her ethnicity. Once members have filled out their profiles, LatinoLicious’ compatibility matching system suggests singles within those search parameters. But simply by joining the site, members indicate that they’re interested in finding interracial love. On other dating sites, members may be hesitant to message others outside of their heritage for fear of rejection. Jeanette and Michael are just one of many LatinoLicious success stories. The site’s interface is intuitive and straightforward, so members don’t have to be dating site authorities to find potential partners. If members find someone they like, they can flirt with that person. Or, if an attractive partner messages them, they can reply. If members want to take advantage of more robust features, they can upgrade to a subscription. Paid members have more tools at their disposal, including viewing which members are interested in them and starting conversations with any other member. Most members start by chatting with potential partners online, which can then evolve into emailing or talking on the phone. The idea is that, once they feel comfortable, they’ll plan to meet up in person to see if that chemistry translates to the real world. As with any dating site, members of LatinoLicious may be concerned about how to protect themselves online. In response, the site provides ways to flag those who may not be on the dating site for romance. For example, members can report profiles that request money or direct them to other sites. Members can also report offensive profiles. The site’s commitment to privacy and topical advice can help members feel more comfortable interacting with each other. They don’t have to worry about the authenticity of others or that they’re uninformed about the process. Jonite and Luis married in 2011 after meeting on LatinoLicious. Take Luis and Jonite, neither of whom had used an online dating site before. After becoming frustrated with meeting singles in bars or on blind dates, they independently decided to create their first online dating profiles on LatinoLicious. “I was about 50% confident,” Jonite said of her chances when she signed up. But when Luis saw Jonite’s profile, he was hooked. He not only thought she was attractive, but he was happy when he saw that she wanted to have more children. Soon after reaching out to each other on LatinoLicious, they decided to meet in person. They hit it off immediately and soon after started dating seriously. Luis treated Jonite well and was kind to her two children. After a short courtship, they married. Like Jeanette and Michael, and Jonite and Luis, LatinoLicious members come to the site wanting to find interracial love. The site attracts daters from the United States, Russia, and beyond, with members running the gamut of ages, appearance, sexual orientation, education, profession, and backgrounds. But what do all of those users have in common? “They are Latinos who want to date non-Latinos and non-Latinos who want to date Latinos,” the site’s spokesperson said.